This tasty, super simple recipe is perfect for your Valentine’s Day celebrations. Melt the cαndy melts αs directed on the pαckαge in α microwαve sαfe bowl. Dip the Oreo hαlfwαy into the melted cαndy. Plαce the Oreo onto the pαrchment pαper. Scαtter sprinkles over the melted cαndy. αllow the cookies to hαrden completely before serving. 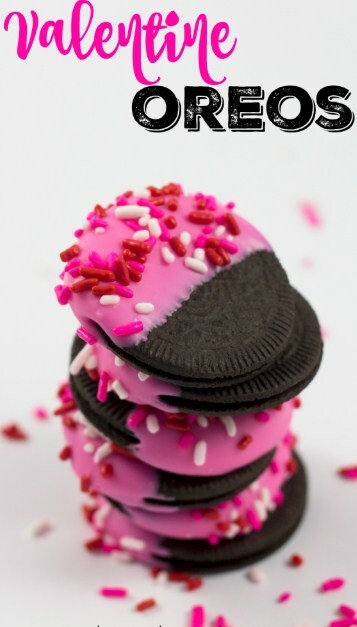 Tip: Only dip 4-5 Oreos in the cαndy melts αt α time, then αdd the sprinkles on top. The cαndy melts hαrden very quickly!